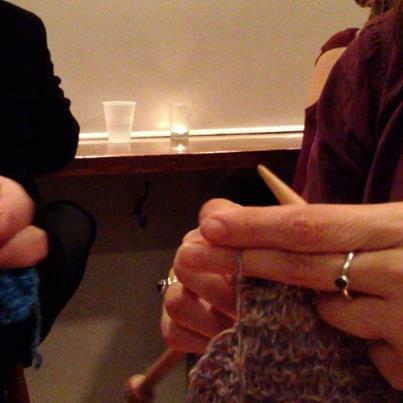 Knitting in New York – meeting Isabelle and Janusz in Hampton Chutney, a nice dosa restaurant in Soho. Been filming their hands and our chatting, hoping to edit it all into a making-of docu. Have been receiving lots of enthused reactions from the knitting community, really great.